Tall, slim with reddish hair, Richard Henry Lee was comfortable with speaking his opinion to the public. Born in 1732, Lee grew up at Stratford Hall, an enormous tobacco plantation in Westmoreland County, Va. His parents, Thomas and Hannah Ludlow Lee, hired Scottish ministers to tutor their eight children. The boys were not always allowed to sleep in the impressive brick Great House, but above their school room in a separate building. Often, classes started before breakfast and ended at 5pm each day. 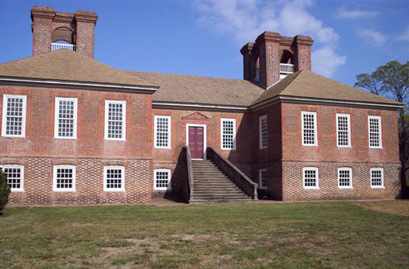 His oldest brother, Philip Ludwell Lee, inherited the Stratford Hall plantation while Richard Henry inherited 50 slaves and land in northern Virginia. Richard Henry chose to stay at the Great House, and leased his inherited land to tenant farmers. The Lee children also inherited company shares planned to speculate land in the Ohio River valley. Richard Henry continued to study ancient classics and modern history, later quoting both in his speeches and his writing. At age 23, Lee raised a military company to support British Gen. Edward Braddock during the French and Indian War. Fortunately for Lee, Braddock refused the support before he was killed in the summer of 1755. In time, Lee learned that his leadership would be needed both for military and public service. Two years later, Lee was appointed justice for Westmoreland County. Lee’s first speech was against the transportation of slaves to Virginia. “And well am I persuaded, Sir, that if it be so considered, it will appear, both from reason and experience, that the importation of slaves into this Colony has been and will be attended with effects dangerous both to our political and moral interests,” he said. He suggested increasing the taxes. “Lay so heavy a tax upon the importation of slaves as effectually to put an end to that iniquitous and disgraceful traffic within the Colony,” he told the Burgesses. Later, Lee was censured by the House about his earlier interest in collecting the Stamp Act. He defended himself July 15, 1766. 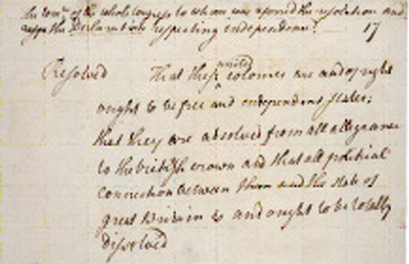 “I believe… no more than myself, nor perhaps a single person in this country, has at that time reflected the least on the nature and tendency of such an act.” Forgiven, he moved ahead, writing the Westmoreland Resolution of 1766, binding citizens to support “our lawful sovereign, George the Third…so far as is consistent with the preservation of our rights and liberty.” Many considered the Resolution seditious as Lee challenged the king. Later, his Resolution gave guidance to those who wrote the Declaration of Independence. The year 1768 was tragic. His wife, Anne, died Dec. 12, leaving four young children: Thomas, Ludwell, Mary and Hannah. During the winter, Lee went goose hunting, one of his favorite sports. His gun exploded in his left hand, and he lost those four fingers. He began to use black silk, either wrapping the damaged hand with a handkerchief or using a black glove to cover the wound. Thinking positively, Lee began to draw attention during his speeches, raising and pointing his injured hand. During the summer of 1769, Lee married again: a widow, Anne Gaskins Pinckard, a descendant of three Mayflower pilgrims. She had two children of a previous marriage. The couple had two sons and three daughters: Anne, Henrietta, Sarah, Cassius and Francis Lightfoot, bringing the number to 11 children. Lee’s speeches were often powerful, academic and sometimes spontaneous. “The great orators here,” wrote John Adams, “are Lee, Hooper and Patrick Henry.” St. George Tucker of Virginia described Lee’s speeches: “The fine powers of language united with that harmonious voice, made me sometimes think that I was listening to some being inspired with more than mortal powers of embellishment.” Lee and Adams became a powerful team, often meeting with Adams cousin, Samuel Adams, at Lee’s sister’s house in Philadelphia. Sister Alice had married physician William Shippen, Jr., who would become America’s chief medical officer in the Revolution. In Virginia, the Convention met May 6, voted for independence, and sent instructions to Philadelphia May 15. On June 7, as head of the Virginia delegation, Lee rose and made a powerful motion: “That these United Colonies are, and of right ought to be, free and independent States, that they are absolved from all allegiance to the British Crown, and that all political connection between them and the State of Great Britain is, and ought to be, totally dissolved.” John Adams seconded. Congress postponed a debate till July 1, allowing a committee to write a proposed declaration of independence based on Lee’s Westmoreland Resolutions. Lee was very aware of being needed from several political worlds. Immediately after his motion, he shared ideas with the Drafting Committee and chaired a second committee to write the Articles of Confederation, the first constitution for the United States. Lee represented Virginia as each state chose one delegate to form the 13-person committee. But he was called to rush to Williamsburg to assist June 13, confident that his colleagues Thomas Jefferson and Thomas Nelson were quite capable. Lee was not in Philadelphia for the vote July 4, but returned with many others including his brother, Francis Lightfoot Lee, to sign the Declaration of Independence in August. When Lee returned to Congress he was an active participant in the debates on many controversial subjects including state boundaries, taxation and the powers of the proposed central government. 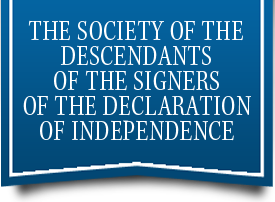 Finally the Articles were approved and Lee signed the Articles on Nov. 15, 1777: One of just 15 signers of the Declaration to do so. There were enemies, who spoke against Lee in Virginia and in Congress. Faulty rumors spread that Lee and others were attempting to depose friend George Washington’s leadership. He was inappropriately blamed to speculate land out west, using the company shares he and his siblings had inherited from their father. He was accused of misuse of his public office for personal gain there and against his Northern Virginia tenants. Despite his painful feet, Lee returned to Congress in 1784. He was immediately chosen president of the Continental Congress. He and many southern tobacco planters worked to limit federal powers. He and many Virginians including George Mason, Patrick Henry, Benjamin Harrison and Thomas Jefferson opposed the adoption of the Constitution. In 1788, Virginia voted 88-79 in favor, becoming the 10th state to approve the Philadelphia plan. Lee and William Grayson were elected Virginia’s first U.S. senators in 1789. He encouraged the first 10 amendments, and was successful. 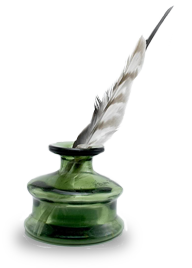 However, his health declined after his right hand was so affected he required a personal secretary. Then his carriage turned over in the fall of 1791. He did not resume his seat until December 1791, and ended his work there when Congress adjourned May 7, 1792. He continued as a member of the Virginia Assembly until he retired from public life in 1792 with a unanimous resolution of appreciation from the House of Delegates. Just north of the Lincoln Memorial is a park celebrating each of the 56 signers of the Declaration with granite boulders engraving each signers’ signature. In the National Archives’ Rotunda, a large mural painted by Barry Faulkner showing a number of the signers of the Declaration including Lee. In the Rotunda of the U.S. Capitol is the famous painting by John Trumbull entitled “The Declaration of Independence.” In the foreground, in a group of three seated figures, Richard Henry Lee is the nearest figure, shown facing John Hancock as Jefferson presents his draft. 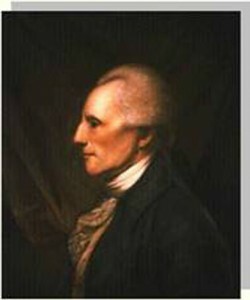 Richard Henry Lee on Wikipedia. Copy of the original resolution as motioned by Richard Henry Lee, preserved in the National Archives, Washington, DC. This entry was posted in Signers by state, Virginia. Bookmark the permalink. Hi, my aunt and I have been trying to see if our Lee ancestors in South Carolina are related to the Lees in Virginia. We have been able to trace back to a John W. Lee who lived in Leesville, SC in the early 1800s. Are the Lees of South Carolina related to Richard Henry Lee or the other Virginia Lees? Samantha, I do not have any John W. Lee in the Signer’s genealogy. But as we do not keep track of the extended Lee family, I cannot offer much insight to your question. Grant, I only track the Signer Lee. You might see if there is a Lee family board at http://www.rootsweb.com.